Remy hair extensions are an excellent way to transform your look and lengthen your hair. 100% Remy hair extensions blend in with your hair for a natural look that can be styled the same as your natural hair. Proper care and maintenance of your extensions will keep them looking great! Here are a few tips to maintain your Remy extensions. Always remember to be gentle with your hair extensions. 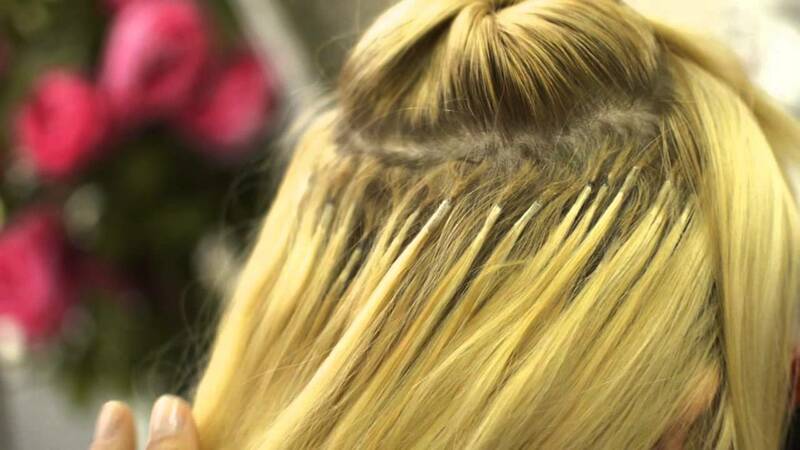 Brushing through your extensions too roughly can cause damage or the hair to fall out. Brush your extensions often just like you would your natural hair. Your extensions can easily become knotted and tangled. Brush through your hair three to four times a day to keep it tangle-free. Be sure to carefully brush out all of the tangles before and after washing your extensions. Refrain from washing your extensions too much. Washing them too often will dry them out and make them more likely to damage from heat styling. Your extensions do not receive the same nourishing oils from your scalp that your natural hair receives. Washing your hair every 2 to 3 days is more than enough. Hydrate your extensions by using a moisturising shampoo and conditioner. Gently lather and work the shampoo from the top all the way down the hair. Make sure that you rinse the hair out extra well, leaving no residue. Use a deep conditioner once a month. Styling tools including flat irons and curling irons can be used on human hair extensions in the same way that they are used on real human hair. Serum or a heat protectant should always be used on hair extensions prior to using any kind of heat-styling tools this includes blow dryers, curlers and straighteners. This will help reduce breakage and frizz. Try using chemical-free styling products. Braid your hair into a loose braid before going to sleep or before any physical activity to prevent matting and tangling. Do not sleep on wet hair. Dry your hair with a blow dryer on low heat or air dry before bed. Remember, your extensions are a high maintenance product, and as such you should expect to spend 20-30 minutes a day to care for and style them in order to maintain their longevity. Extensions may be uncomfortable to sleep on the first few nights. Your scalp may be slightly itchy the first few days after getting the extensions. EH Hair Weft Extensions are a great option for anyone who wants longer and fuller hair. Just make sure to care for your extensions properly, and they will stay looking healthy and beautiful!